General information on this web site is provided for informative matters and does not represent any warranty, expressed or implied. myCBD does not represent or warrant the information on this website as a source of information at medical level. You should not take the information from this website as medical advice or as an aid to health care. None of the information contained herein, is intended to be a medical diagnosis, nor should be construed as medical advice or recommendations of medical treatment. If you are considering making any changes in your lifestyle, diet or nutrition, you should consult with your doctor or health care advisor. Neither myCBD nor its representatives are providing medical advice; this should not be inferred from any ideas, advice, statements or other information presented on this web site or other information provided via telephone or correspondence by mail or email. If you think you have or may be suffering from some disease, you should immediately consult with your doctor or health care advisor. Never delay seeking medical advice, disregard medical advice, or discontinue medical treatment because of information that we will have provided and / or located on this website. This website may contain links to third party websites. We provide these links as informative advice, but we are not responsible for the content and accuracy, with respect to the information contained in such third party websites. If you decide to access or rely on the information related to third-party websites, you do so at your own risk. 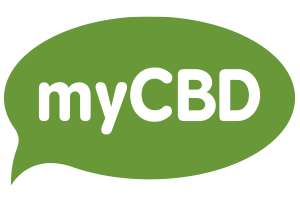 myCBD disclaims any responsibility for information that is both outside and inside this website. We reserve the right to make, at any time and without notice, changes and updates to the information contained on the website or in the configuration and presentation thereof, and to temporarily suspend access to it. The access to this Website and the use made of the information contained therein is the sole responsibility of the user. myCBD is not responsible for any consequences, damages or injuries arising from such access or use of information. Similarly, it is not liable for any possible security errors that may occur for any damage caused to the user’s computer system (hardware and software), or the files or documents stored therein as a result of the presence of viruses in the user’s computer used to connect to services and web content of a malfunction of the browser or the use of non-updated versions.